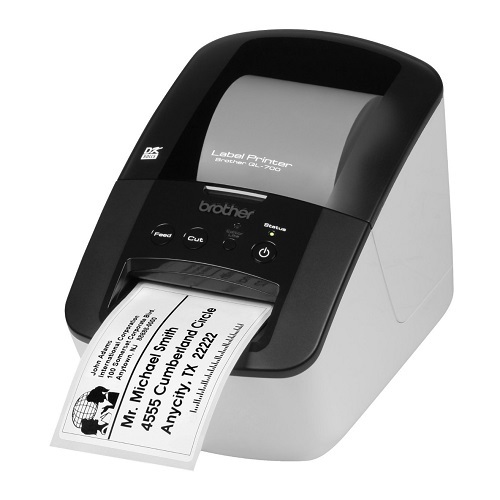 Get organised and look professional with a Brother QL label printer that can print either one or hundreds of labels at a time at the super fast speed of up to 68 labels per minute! Now you can print die-cut; that's pre-cut labels or continuous length labels up to 102 mm wide, allowing you the versatility to make labels as big or as small as you want! Professional high quality address label printer perfect for personal and office use. You can now create professional looking mailing labels, CD labels, file folder labels as well as durable Continuous Length labels to make banners and signs for whatever task, however big or small. Fast print speed of up to 68 labels per minute. PC or MAC connectable via USB. AC Adapter included. 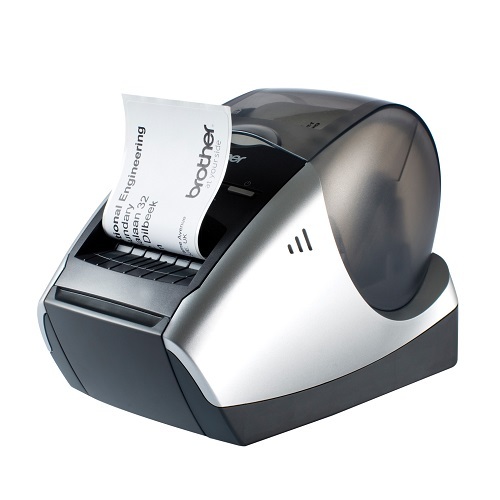 Introducing the QL-700; Brother’s fastest label printer of up to 93 labels/min will ensure you’re always one step ahead. Features new Plug and Print capability and pre-designed labels in Label Collection feature. Prints die cut labels or continuous length banners with the built-in automatic cutter for quick and professional results. Super fast print speed of up to 93 labels per minute. Having both wired and wireless networking, the QL-720NW is the professional solution for labelling on demand. PC or MAC connectable via USB or wireless LAN (WiFi). AC Adapter included.